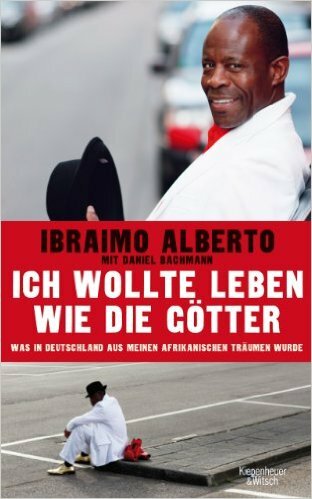 What Ibraimo Alberto has experienced is enough for three lives: Growing up in the deepest jungle of Mozambique as the slave of a Portuguese landowner, he successfully fights for his right to go to school, and despite racist hostility, begins a new life in East Germany - and falls from the pan into the fire following the fall of the Berlin Wall. He now has to fight for his life… Ibraimo Alberto grows in Mozambique up as one of twelve children of a medicine man. In 1981, he was offered the chance to study in the "brother state" of East Germany. However not even having left the airport, he is already assigned to a meat factory, and is neither allowed to move freely within the country nor to marry. But Alberto boxes his way up - in the truest sense of the word: He makes a career in an East Berlin boxing club and after the fall of the Berlin Wall, he boxes for the boxing club »Traktor Schwedt« in the Bundesliga. Racist attacks were common even in then East Germany. His best friend Manuel, who had come with him from Mozambique, is killed by Nazis. In 1991, the neo-Nazis take over in Schwedt. Alberto is mobbed, insulted and attacked every day. Dozens of times, he just manages to escape the right-wing mob. As right-wing extremists threaten to kill his 17-year-old son in a football match, Alberto, now an official representative for the integration of immigrants in the city on the Oder, knows that he has no future here. In 2011 he receives "inner-German asylum" - a widely-observed act - in Karlsruhe. And continues to fight racism and for integration.